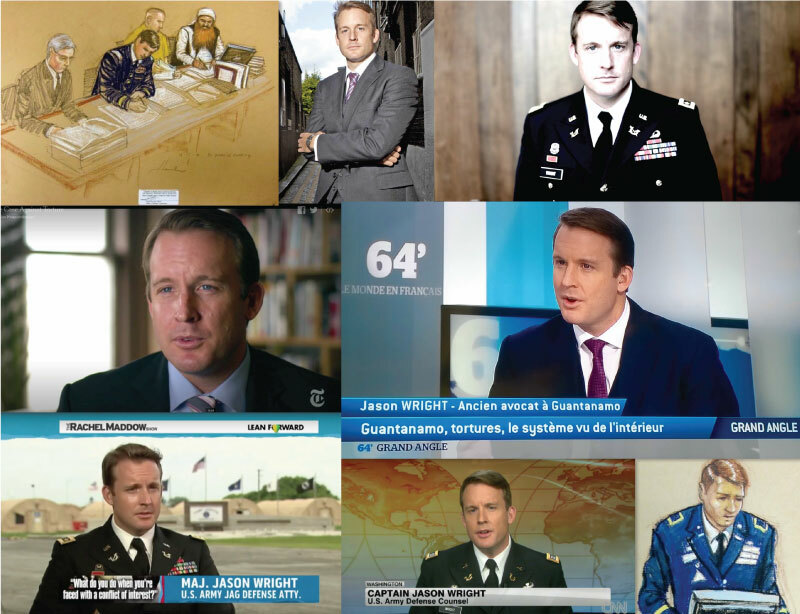 Jason Wright has been profiled extensively in film, books, and other news media, and has appeared before television and radio audiences on critically claimed programs throughout the United States, Europe, Asia, Africa, and the Middle East. He is the subject of an acclaimed, New York Times documentary and has been specifically profiled by Christiane Amanpour’s CNN International, the Rachel Maddow Show, NPR’s All Things Considered, The Huffington Post, The Independent, Austria’s Profil Magazine, and Slate Magazine. Jason Wright does not take good cases, he creates them. Whether freeing an innocent man from Guantanamo or defending the Dewey and LeBoeuf trial, a “White Collar Case to Watch in 2017,” Jason Wright’s cases often make headlines based on their complexity, and Wright’s use of innovative and successful legal theories and strategies.